I must confess that I could not bring myself to review Iggy Pop’s newest album immediately upon its release for personal reasons. Those reasons stemmed from David Bowie and my appreciation for both artists’ music; Bowie and Iggy have shared an unusual, symbiotic relationship for decades (at least, they have in my mind) and, at Bowie’s passing, I wasn’t sure first how Iggy would respond and, second, if I wanted to hear it. 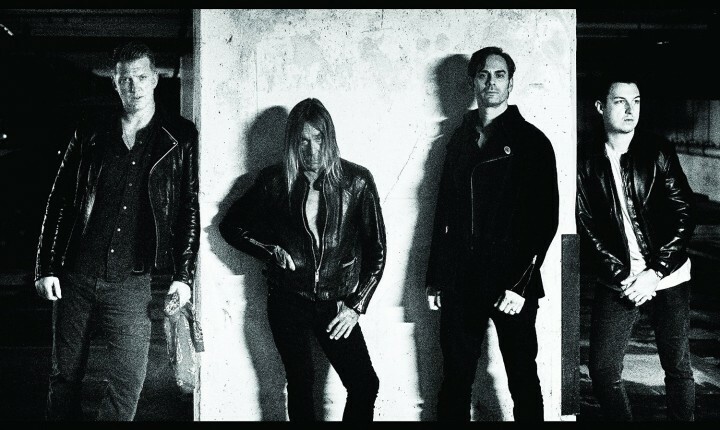 Because of that, while I was aware of a new Iggy album (as well as the fact that it was produced by Josh Homme), I did not lay a finger on it or turn an ear to it for a surprising length of time â€“ particularly given that I am a fan. Even so though, like a magnet to any ferris material, I found my way to Post Pop Depression â€“ or it found its way to me. …And listening to Post Pop Depression now, I can feel justified in staying away from it initially â€“ although I am able to appreciate it now. Listening to Iggy’s seventeenth solo album with a comfortable amount of distance, it’s suddenly easy to see/hear the ghost of David Bowie as well as his influence upon Iggy in both the Seventies and Eighties through all nine of the songs which comprise the album, so much so that it has to have been intentional. From top to bottom, the thump and grind which is often associated with both singers’ time spent in Berlin in the Seventies is perfectly self-evident in songs like â€œBreak Into Your Heart,â€ â€œAmerican Valhallaâ€ and (of course) â€œGerman Daysâ€ as the beats and bass give the mix of each an added punch, but also the kind of deliberate drag which was also manifest in songs like â€œNightclubbing,â€ â€œThe Passengerâ€ and â€œSuccess.â€ In that particular regard, fans will find it very, very easy to fall into and love such machinations but, by the same token, they’ll also quickly begin to feel the clear hesitation in Iggy’s performance, as well as a sense of understated sadness which flows as a constant undercurrent through the album, from top to bottom. That doesn’t mean all the songs are miserable (in fact, â€œSundayâ€ and â€œVultureâ€ fairly drip with swagger and tango-flavored swing, respectively), just that there is an undeniable darkness about them which is impossible to deny; that energy may have been present during the writing and it may have been intentional or it may be a perceived byproduct of David Bowie’s passing â€“ there’s no way to say which for sure â€“ but there’s no denying its presence. Now, with all of the above in mind, how does one qualify Post Pop Depression? Well, the quality of the album is undeniable; track-for-track, Iggy and his band keep a consistent tone and style which is engrossing and more generally enjoyable than any of the other solo albums Iggy has released since the turn of the century. There is no arguing that. It is a good album. By the same token, there have been critics who have attempted to contend that Post Pop Depression is Iggy’s new millennial answer to Lust For Life and that is an overstatement. While there are tonal similarities, this is absolutely not in the same league as Lust For Life â€“ a classic album. There’s the difference readers: Post Pop Depression is just good.